Mitsubishi Heavy Industries floated out AIDAprima from their shipyard at Nagasaki this afternoon. The 124,500 - GRT ship was towed from the MHI Tategami shipyard to the Kojagi Dock during a one-hour operation. During the journey AIDAprima demonstrated its stability and buoyancy. There will be extensive testing of various technical systems before fitting out begins at the Kojagi facility. Delivery is scheduled for September 2015. Photos courtesy of AIDA. All rights reserved. Photos may not be copied or used without express permission. When you’re a global company with customers of lots of different cultures in many different markets, you know that language is only one difference among them. There are many differences, and MSC lives that every day and understands it as a fact of life. There's a whole new set of challenges involved when social media comes into the picture, and MSC has employed a solution. Two cruise lines are giving us a behind-the-scenes peek at their top-deck water attractions. First up Carnival has their largest WaterWorks aboard Carnival Sunshine which just moved into its new home port at Port Canaveral. In their video, they take us below the deck to show us how they manage 48,000 gallons of water constantly being pumped onto Deck 10 (and above). In their video, Royal Caribbean gives us a look at their FlowRider surf simulators. The WaterWorks aqua park on the top deck of Carnival Sunshine is ten stories above the surface of the water and utilizes 48,000 gallons of water constantly being pumped through it. In this video, Carnival takes us behind the scenes (actually under them) to see how all that water is managed. In this video, Royal Caribbean tells us all about their FlowRider surf simulators which could originally be found on the top decks of their Freedom-class ships, then twin FlowRiders on the top decks of their Oasis-class ships, and are now being added to the top decks of their Voyager-class ships. Norwegian Cruise Line held their conference call for analysts to discuss their first quarter earnings this week. While there weren’t any major revelations, it was interesting to hear their CEO, Kevin Sheehan, explain the way the company thinks about things that we mostly take for granted. Seattle’s cruise season begins on Saturday (May 3) with the arrival of two ships. Holland America’s Westerdam is expected to berth at 5:45am, and Golden Princess should be alongside by 7:00am. We don’t normally cover pricing and promotions unless there is something unique and clever about them, and Norwegian Cruise Line has that on their current “Buy Once, Cruise Twice” promotion - and maybe something not thought all the way through. CND subscribers also read about the name being familiar but ... why baseball makes Carnival horn-y ... cruising back to the '80's ... and opening day. Earlier this week, Bob Evans Farms announced that Norwegian Cruise Line's CEO Kevin Sheehan was joining their board. It is not expected to affect his job at the cruise line. NEW ALBANY, Ohio, April 28, 2014 /PRNewswire/ -- Bob Evans Farms, Inc. (NASDAQ: BOBE) today announced that, as part of its Board succession process first publicly announced in January, Kevin M. Sheehan, President and Chief Executive Officer of Norwegian Cruise Line, Kathy S. Lane, former Chief Information Officer of TJX Companies, Inc., and Larry S. McWilliams, Co-Chief Executive Officer of Compass Marketing, have been appointed to its Board of Directors on April 25, 2014. The Company also said that E. Gordon Gee, 70, is stepping down from the Board effective immediately, following his acceptance in March of the permanent position of President of the West Virginia University. It further said that Larry C. Corbin, 72, and G. Robert Lucas, 70, will be retiring from the Board at the end of their terms in connection with the 2014 Annual Meeting and will not be standing for reelection. "Today's announcements are part of the Board's ongoing efforts to ensure continued exceptional leadership and the highest standards of governance at Bob Evans," said Michael J. Gasser, the Company's Lead Independent Director. "As part of the Board's evaluation and succession planning process, the Nominating and Corporate Governance Committee has worked with an executive search firm for over a year to identify independent, exceptional candidates with the appropriate skill sets. We believe that Kevin Sheehan, Kathy Lane and Larry McWilliams will bring new perspectives and special expertise in their respective fields to the Board's deliberations, as we continue to fulfill our fundamental commitment to serve the best interests of and maximize value for Bob Evans shareholders," Mr. Gasser added. With the changes announced today, the Board will consist of 12 directors, 11 of whom are independent, and 7 of whom have joined the Board since 2007, including 4 within the past 2 years. Following the retirement of Messrs. Corbin and Lucas immediately prior to the 2014 Annual Meeting, the Company expects that the size of the Board will revert to ten directors. Messrs. Sheehan and McWilliams will join the Board's Audit Committee and Nominating and Corporate Governance Committee. Ms. Lane will serve on the Board's Finance Committee and Nominating and Corporate Governance Committee. Mr. Sheehan brings extensive high level executive and financial experience across a range of industries, including currently as President and Chief Executive Officer of an industry leading global cruise operator. Ms. Lane joins the Board with over 30 years of IT experience, including Chief Information Officer roles in the consumer products, financial services and retail industries and most recently with TJX Companies, parent of leading retail brands including T.J. Maxx, Marshalls, and HomeGoods. Mr. McWilliams brings more than 20 years of significant consumer marketing experience and a proven record of leadership in the protein and consumer packaged goods segments of the food industry, including service as President and Chief Executive Officer of Keystone Foods and President of Campbell Soup USA and Campbell International. "These new directors bring outstanding skills, experience and perspectives that will contribute significantly to our strategic planning and our ongoing transformational growth initiatives at Bob Evans Restaurants and BEF Foods," said Steven A. Davis, Bob Evans Chairman and Chief Executive Officer. "Kevin brings an extensive 30 year background in the business world, including overseeing successful major initiatives to enhance the consumer experience, and a deep knowledge and experience in accounting and finance. Kathy's IT experience will be invaluable as we implement our new ERP system and continue streamlining processes to enhance efficiency throughout our operations. Larry is a recognized leader in consumer marketing and a veteran brand builder, whose extensive background in the protein and consumer packaged goods segments of the food industry, will be invaluable to our food products segment. We are committed to ensuring that we maintain a dynamic, independent board that will provide the informed oversight and critical thinking to lead Bob Evans forward." "The Board is extremely grateful for the many contributions of Larry Corbin, Gordon Gee and Robert Lucas during their service as directors. We wish Dr. Gee the best in his new role at West Virginia University, and appreciate the continued service of Messrs. Corbin and Lucas through the remainder of their terms," said Mr. Gasser. As noted in the Company's April 24, 2013 press release, the Company also confirmed that it has received notice of nominations from Sandell Asset Management ("Sandell") for candidates to stand for election to the Company's Board of Directors. The Company's Board of Directors will carefully consider and evaluate Sandell's candidates in connection with the Company's nominations for election at the Annual Meeting and will communicate with shareholders in due course. About Kevin M. Sheehan: Mr. Sheehan, 59, serves as President and Chief Executive Officer of Norwegian Cruise Line (NASDAQ: NCLH), a cruise travel industry leader, which he joined in November 2007. Previously, he provided consulting services to Cerberus Capital Management LP (2006-2007) and Clayton Dubilier & Rice (2005-2006). Mr. Sheehan also served as Chairman and Chief Executive Officer of Cendant Corporation's Vehicle Services Division and as Chief Financial Officer of Cendant Corporation. Previously, he was President-Corporate and Business Affairs and Chief Financial Officer of Avis Group Holdings, Inc. and a Director of that company. From September 2005 to December 2007, Mr. Sheehan was on the faculty of Adelphi University, serving as a Distinguished Visiting Professor - Accounting, Finance and Economics. He serves on the Board of Directors of West of England, a mutual marine insurer, Dave and Busters, where he is the Audit Committee Chairman, and also on the Board of Directors of New Media Investment Group, Inc. (NYSE: NEWM), where he is the Audit Committee Chairman. About Kathy S. Lane: Ms. Lane, 56, was EVP/CIO of TJX Companies, Inc., a specialty apparel retailer, with leading brands including T.J. Maxx, Marshalls, and HomeGoods, from October 2008 until her retirement in March 2013. Previously, she was Group CIO at National Grid USA and SVP/CIO of Gillette Company, and before that she held positions of increasing responsibility in IT at General Electric, Pepsi-Cola International and Procter & Gamble. Ms. Lane is a member of the Board of Directors of EarthLink, Inc. (NASDAQ: ELNK), where Ms. Lane serves on both the Audit Committee and Corporate Governance and Nominating Committee. She has been active in many industry groups, including Oracle's President's Council. From 2002-2013 she was a member of the CIO Strategy Exchange, a forum sponsored by Kleiner Perkins Caulfield Byers and Ostriker von Simson to evaluate emerging, innovative technologies. About Larry S. McWilliams: Mr. McWilliams, 57, is Co-CEO of Compass Marketing, a marketing consulting firm serving a broad range of leading brands and consumer products. Prior to joining Compass, he was President and CEO of Keystone Foods, a multi-protein processor for leading food brands, with over 13,000 employees and $7 billion in annual revenue, until May 2012. Before joining Keystone, he served as President of Campbell Soup USA as well as President of Campbell International, and he previously worked with a number of other high profile brands, including The Coca-Cola Company, Bristol-Myers Squibb, Pillsbury, General Foods and Del Monte. He is a member of the Board of Directors of Godiva Chocolatier, Inc. and Armstrong World Industries (NYSE: AWI), where Mr. McWilliams serves on both the Audit Committee as well as the Management Development and Compensation Committee. ORANGE, Calif., April 30, 2014 -- Paradise Sun Products, LLC, improving the way hotels & resorts, cruise lines, and tropical stores accommodate their guests, is now the official U.S. wholesale distributor of the Cush'n Shade®. The Cush'n Shade is a portable sunshade complete with a cushion pillow, designed to enhance the sun tanning experience. This product is already improving the way guests enjoy the pool at numerous resorts, including Four Seasons Los Angeles at Beverly Hills, and is available for purchase at Hilo Hattie on Oahu. The Cush'n Shade is the essential product for the hospitality industry. "As a destination traveler for decades, we've seen how the Cush'n Shade grabs the attention of whoever doesn't have one," says Jeff Shubin, CEO of Paradise Sun Products. "Poolside or at the beach, guests can now enjoy the entire day under the sun, while keeping their heads cool and comfortable with our patented UPF 50+ (that will protect faces from the damaging effects of the sun) and ratcheting system so guests can adjust their sunshade as the sun moves throughout the day." "When guests can stay by the pool, they continue to purchase Mai Tais, Lava Flows and Piña Coladas. And the days of guests fighting over umbrellas, moving and swiveling them all over the deck are finished," adds Mr. Shubin. "The Cush'n Shade offers individual shade and personal control for everyone." About Paradise Sun Products - The Cush'n Shade:Living Under the Sun - That's what we're all about at Paradise Sun Products, LLC. Founded in 2006, we have a passion for enhancing the lives of travelers throughout the United States with amazing products and experiences. As of 2014, Paradise Sun Products is now the official distributor of the Cush'n Shade® sunshade. When you have the “grandest ocean liner ever built,” you pull out all the stops when it celebrates major milestones. That’s just what Cunard is doing to celebrate Queen Mary 2's 10th anniversary in service. The fact that Cunard will bring together the Three Queens was announced some time ago. (A week from Friday, on May 9, at the ships’ home port of Southampton.) But now the details are being released about the celebration, including a very special guest. The US Coast Guard said today they have suspended their search for the 30-year-old man who went overboard from Bahamas Celebration early Sunday morning. The search covered more than 2,813 square nautical miles without finding the man. (San Francisco, CA – April 29, 2014) – Celebrity Cruises, a recognized industry leader for providing spacious cabins, stylish interiors, dining experiences elevated to an art form and an overall unmatchable experience for vacationers, today announces its appointment of Christopher Sisemore as regional sales manager and San Francisco team manager. In this role, Sisemore, a Bay Area native and 20 year veteran of the travel and cruise industries, will lead the San Francisco DMA Sales & Marketing team and will assume account responsibilities with major West Coast account agencies. Prior to his employment with Celebrity Cruises, Sisemore led a team of five Regional Sales Managers and seven Sales Representatives for a major tour company featuring excursions in Hawaii, Mexico, The Caribbean and Central America. For the past nine years, Sisemore managed the Northern California and Pacific Northwest regions for Uniworld Boutique River Cruises. In addition to forging relationships with Napa, Sonoma and Pacific Northwest wineries by hosting winemaker cruises, he successfully grew the luxury river cruise business in Europe, Russia, China, Egypt and Southeast Asia. Through this, Sisemore has been able to travel to many of the top luxury destinations in the world – bringing this experience to his new role with Celebrity Cruises. Sisemore holds a Bachelor's degree in Business Administration from San Diego State University and resides in San Francisco's North Bay with his wife and son, where they enjoy the bounty of this dynamic region. Seattle, Wash., April 29, 2014 — From winter 2014 through spring 2015, Holland America Line will have two ships exploring the mysteries and wonders of the Far East. 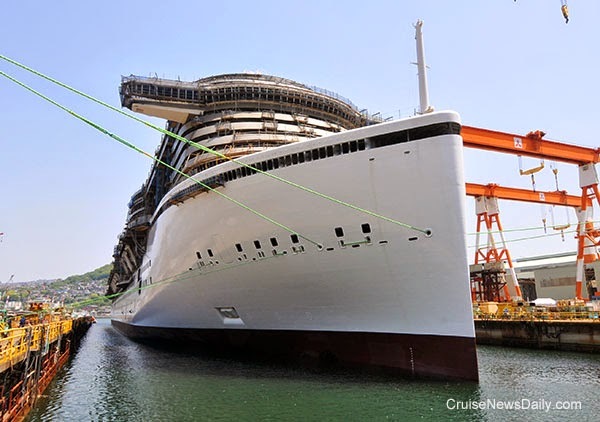 The 1,432-passenger ms Volendam will sail a series of 14- to 17-day cruises and nonrepeating itineraries, while the 1,404-passenger ms Rotterdam takes an epic 90-day “Passage to the Far East” journey. All of the cruises feature exotic ports of call with extended and overnight stays at some of Asia’s most iconic cities. The longer visits provide travelers ample time to explore the region’s extensive collection of historical and notable landmarks. New this year, Volendam will sail three 14-day “Asian Adventure” cruises roundtrip from Singapore. Departing Dec. 22, 2014, and Feb. 2 and March 16, 2015, the ship calls at ports in Malaysia, Thailand and Myanmar. Guests will enjoy an overnight stay at Singapore and Thilawa (Rangoon), Myanmar, as well as an extended port call at Port Kelang (Kuala Lumpur), Malaysia. 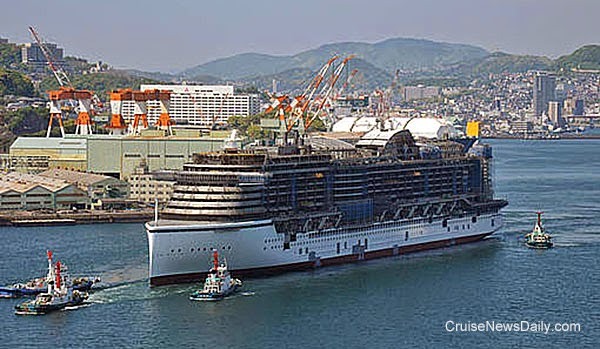 The ship also sails a series of 14-day “Far East Discovery” cruises between Singapore and Hong Kong, China. Guests can embark Jan. 5 and 19, Feb. 16, March 2 or 30. The itinerary calls at Koh Samui, Thailand; Sihanoukville, Cambodia (with a late departure); several ports in Vietnam including late departures from Nha Trang and Halong Bay; and an overnight call at Laem Chabang (Bangkok), Thailand. The Asia Adventure and Far East Discovery itineraries can be combined for a 28-day Collectors’ Voyage departing Dec. 22, 2014, and Feb. 2 and March 16, 2015. Fares for the 14-day Asian Adventure and Far East Discovery cruises begin at $1,699, and the 28-day Collectors’ Voyages begin at $3,049, per person, double occupancy. Volendam sails three nonrepeating itineraries at the beginning and end of the season, starting Nov. 22, 2014, with a cruise from Sydney, Australia, to Singapore. The 16-day “Great Barrier Reef” voyage explores eastern Australia with calls at Hamilton Island and Port Douglas (Cairns), with an extensive Great Barrier Reef experience. Guests will witness a sunrise at Lizard Island, sunset at Piper Island and sail around the Ribbon Reef and Far North regions and through the Torres Strait. The ship says goodbye to Australia with a final call at Darwin before visiting Komodo Island, Bali and Java in Indonesia. 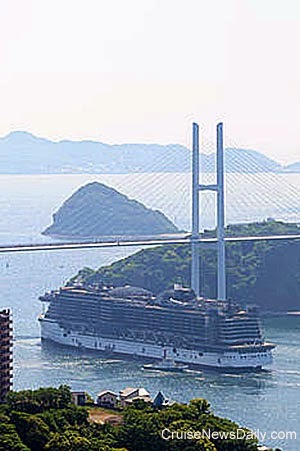 In the spring, Volendam sails a 14-day “China and Japan” voyage departing Hong Kong April 13 and ending at Kobe, Japan. Along the way the ship calls at Shanghai and Xingang (Beijing), China, both overnight calls enabling guests to explore those bustling cities; Jeju (Cheju) and Pusan, South Korea; and Nagasaki, Japan. Guests looking for an adventure can embark April 27 at Kobe for a 17-day trans-Pacific voyage to Vancouver, British Columbia. Following an overnight call at Yokohama (Tokyo), Japan, and calls at Hakodate and Kushiro, Japan, guests will enjoy leisurely days at sea crossing the Pacific Ocean to Canada. The ship visits Kodiak and Sitka, Alaska, with memorable scenic cruising along Alaska’s famous Inside Passage. Fares for the 16-day Great Barrier Reef cruise begin at $1,999, $1,759 for the 14-day China and Japan cruise, $1,999 for the 17-day trans-Pacific and $3,379 for the 31-day trans-Pacific crossing, all per person, double occupancy. Rotterdam starts the new year off with a 90-day “Passage to the Far East” voyage sailing roundtrip from Rotterdam, the Netherlands, Jan. 7, 2015. Guests who find it more convenient can cruise roundtrip from Southampton, England, departing Jan. 8 for an 88-day voyage. The ship sails east with calls at Portugal, Morocco, Spain, Malta and Greece, before a daylight transit of the Suez Canal. Following relaxing sea days, the ship stops at Muscat, Oman, and Dubai, U.A.E., before reaching India. After several calls in that country, the ship makes way to Thilawa (Rangoon) for an overnight visit. The Far East is extensively explored with calls throughout Singapore, Jakarta, Indonesia and Malaysia before sailing back to Sri Lanka, India, Oman, Jordan and Egypt. During the voyage, guests can take advantage of extra time in port with overnight calls at Port Klang, Malaysia; Colombo, Sri Lanka; Mumbai (Bombay), India; Bali and Singapore. Following a transit through the Suez Canal, the ship explores Italy and Spain before returning to Southampton and Rotterdam. Segments ranging from 34 to 55 days are available between Rotterdam, Southampton and Singapore. Cruise fares for the complete 90-day cruise start at $10,999, $10,899 for the 88-day journey, $7,199 for the 55-day passage and $4,399 for the 34-day segment. Additional segments are available. When Celebrity Equinox emerges from dry dock in Cadiz on May 8, it will be the first of the fleet to have Celebrity’s new beer and comfort food venue, Gastrobar. A passenger reportedly jumped overboard from Bahamas Celebration early Sunday morning as it was sailing from Freeport to Palm Beach. 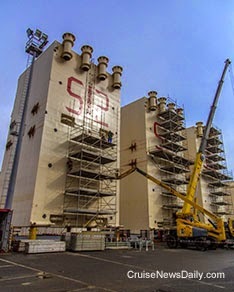 CND subscribers also read about preparing to float Costa Concordia ... and Norwegian extends Steiner contract. The US Coast Guard reports they have been searching the waters 27 miles east of Delray Beach, Florida, for a passenger who reportedly jumped overboard from Bahamas Celebration as it was headed to Palm Beach. The incident occurred about 2:00am Sunday morning.